That’s my New Year’s resolution for you. I just got off the phone with a brilliantly talented woman who worked with me five years ago. Then she quit. You have gifts. They’re not yours. They’re the world’s. By getting in your own way, by living in excuses + rationalizations, you are denying us your gifts. This past week, she kept seeing signs. Experiencing epiphanies. The new year hurtling toward her was a Mac truck — slowing down time and bringing urgent clarity. Then she saw someone share a powerful personal story on TV, and she got mad. She said to herself, I can do that. Even though she hasn’t. We are here for only a short time — no one knows how long. Today, this woman said, Enough. Enough giving all my energy away to others. Until there’s nothing left. Until another year bleeds by. I’m sick of not being seen. Then she said Yes to herself. To her story. To her message. And committed to working with me. She knew I’d keep her accountable. She knew I believed in her. She knew I’d kick her arse. The question is — will you uncover + express your gifts while you are here? Will you touch + transform those who’re waiting for your story? Your message? P.S. If you have read this far, then perhaps you should pay attention to that. Instead of overthinking, check your gut. Your heart. If you have ever felt called to work with me, and/or if you feel called now — and you’re serious — then shoot me an email at rachel@writersonfire.com. Put Catch Fire Call in the headline. If you’re not called to work with me, then find someone else. Invest in yourself. Value yourself. Find another coach or mentor who will champion you. To get you through your blocks. To help you smash through ego. To completion. Then share your one-of-a-kind message. Your unique story. Make the money to support your message and story spreading into the world and reaching the right people. P.P.S. Know this too — I am constantly obliterating my own ego. Through service. Through meditation. Through my own style of prayer. Through humility. Through action. Through creativity and completion. I was so selfish for so many precious years. So I know this dance intimately. That’s means I can call you on it. Not for the faint of heart. 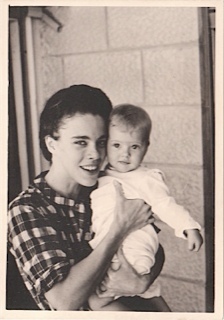 I dedicate this post to my mother, Jane, whom I lost on a New Year’s eve many years ago to suicide. Sometimes it feels like decades. Sometimes it feels like today. Readers. Don’t waste your life. Make it count. Part One. Write a short scene. 1st person. Present tense. You are sharing your story, your message. No holds barred. In the most intimate way. To the one person you trust completely, or care about most deeply, or feel most connected to. It can be your husband or wife, your son or daughter, your best friend, your mentor, your spiritual leader, yourself as a young person in trouble or struggling. It can be in a note, or in person. Part Two. NOW, write that scene again — this time As If you are speaking this from the stage. Again, 1st person. Present tense. Be there. Feel it. Imagine the audience. See them. Feel them. Taste the energy, the response. Speak the words. Don’t hold back! What insights did you gain? What A-Has? Please comment below. Share your experience. Join the conversation. Inspire yourself and others! Here’s to a healthy, wildly adventurous, prosperous New Year!